I love this image, it looks like the graveyard for all the old bits of the Starship Enterprise, everything is so chunky, like a construction kit that should fit together. It’s Snow Crystals at high magnification. Yes, bonkers, I know! The blue colours were added into the photograph for effect. Maybe this is more what you’d expect for a snowflake. But the grey is a bit dull isn’t it? 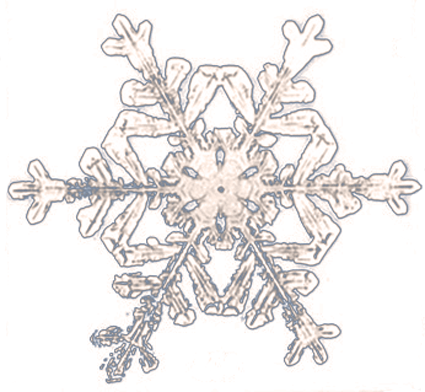 The natural, hexagon geometry of a snowflake. 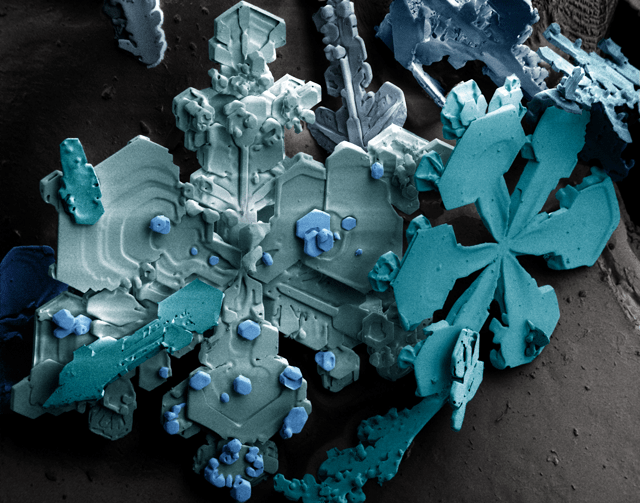 Water (or water vapour) molecules attach to a dust particle and form the beginnings of a snowflake. 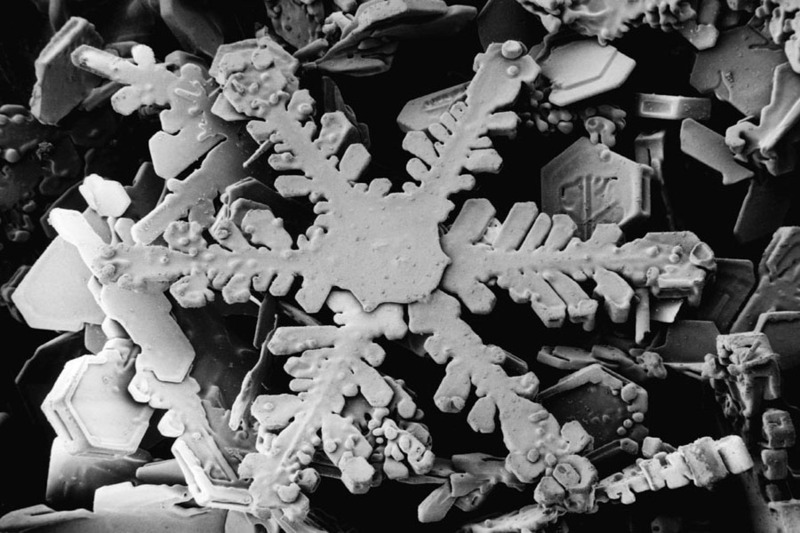 These molecules crystallize to a hexagonal plate form, every snowflake is formed around this shape. 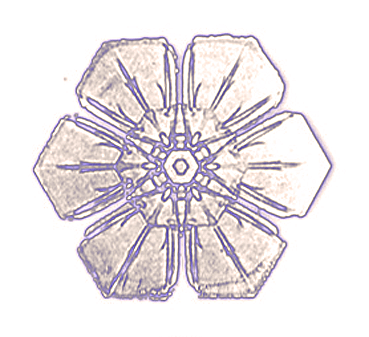 Every one will have repeated hexagon design but each snowflake will be slightly different. Funny isnt it? why not another shape? A hexagon is a 2D shape with SIX sides. Johannes Kepler wondered the same thing. Kepler was a german mathematician and astronomer in the 17th Century. At that time astronomy was seen as strongly linked to maths and considered a liberal art, one of the quadrivium – that’s four subjects often still taught as part of a classical education. Kepler’s major astronomical work defined the universe as a set of geometric shapes. You can see why I bring him up now. Back to the snow falling…. These water molecules arrange themselves in a hexagonal net structure (in science the term is a ‘lattice’) using the atoms of hydrogen and oxygen, which is what water is. If you want to be really studious here: The molecule H2O (water) contains one oxygen and two hydrogen. These two hydrogen atoms sit at an angle in relation to the oxygen which is perfectly the same angle as the corners of a hexagon, so building the lattice structure. In doing so they fill up all available space. Look no gaps! and crystals grow. A hexagonal plate is the beginning of every snowflake, as it grows the water available becomes less able to fill all the space and so branches and tendrils appear always on a six fold pattern which are what we recognise as traditional looking snowflakes. Why so many different variations on a six cornered pattern? We all know the weather is unpredictable right? That’s it. The structure of a snowflake is determined by the temperature and moisture levels around it as it passes through weather systems on its journey to your garden and your child’s protruding tongue. Different temperatures create different patterns, but they are all based on hexagonal geometry. These many different forms have become named things like : fernlike, dendritic, stellar, plate, columnar. You can remember this when you see a traditional snowflake pattern on a christmas card this year. Count the branches and enjoy this wonderful, bunched up, broken, micro geometry that falls to your lawn. And not bits of the Starship Enterprise. Why I am telling you this? maybe those around you are not yet asking those questions. Certain elements behave in certain ways because of their makeup. Knowing that certain rules like this are in play in nature lays a strong understanding of certain natural laws which are best to work with rather than against. That’s what the Smart Happy Project is all about. These laws can be found in mathematics and sciences at every level. That’s worth knowing even a little bit about isn’t it? OK that the science bit over with, now the crafty bit. 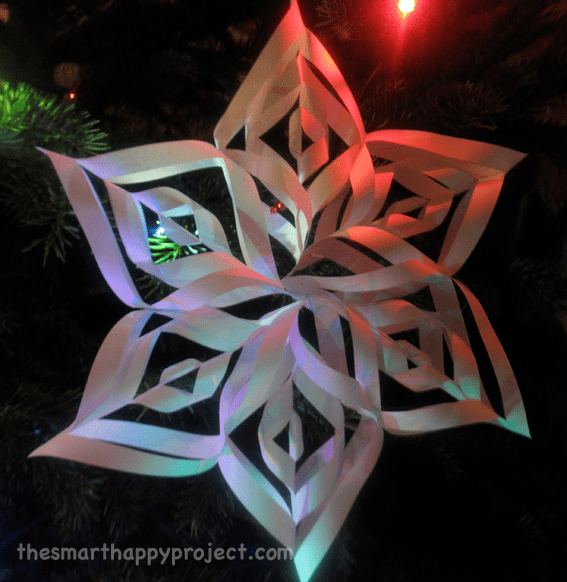 Come on over here and make these easy, paper snowflakes. she looked really shocked and a little bit crushed. But because of the hexagon stuff I convinced her that it is still a little bit magic. If you found this post interesting, please share the link with a few friends. 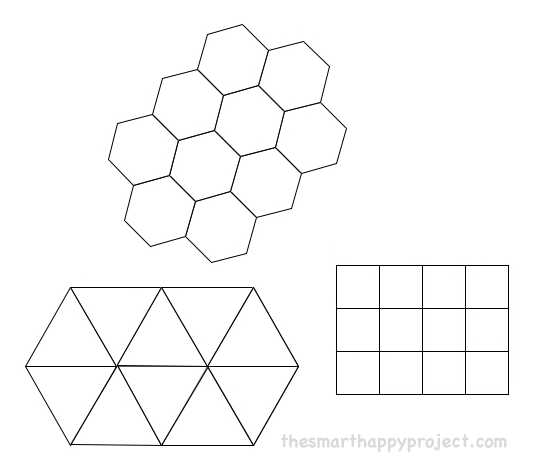 The Smart Happy Project is a new , quality children’s magazine connecting kids to nature through natural geometry. Sign up for membership to hear more about what we get up to. These snowflakes by photographer Alexey Kljatov who has featured recently on many online articles for his extraordinary photos of snowflakes, they almost don’t look real but I think they are. Enhanced I’m sure.